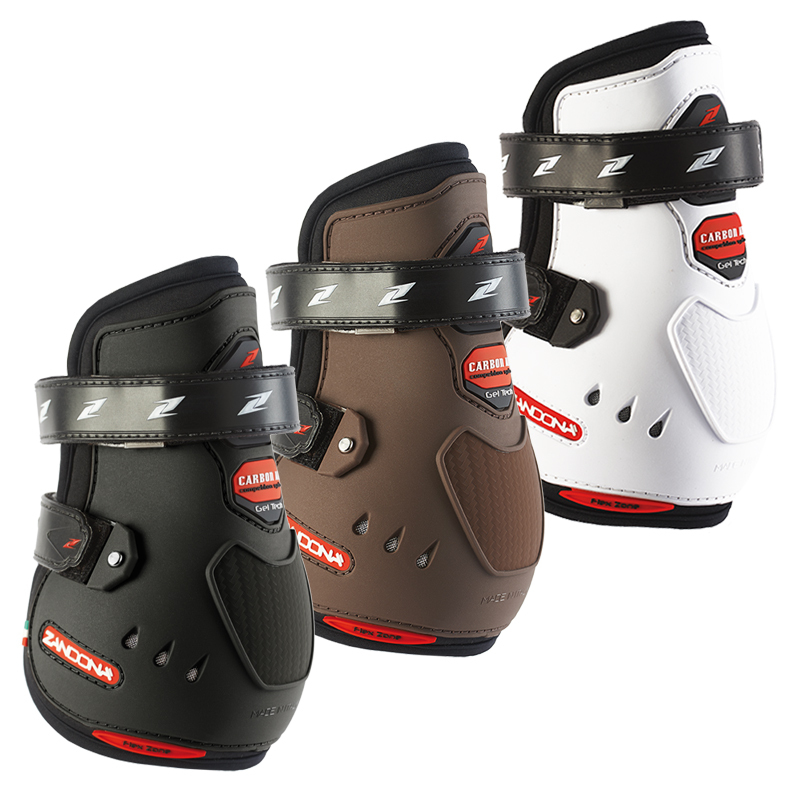 Carbon Air Feel+ Competition Fetlock boot has been developed to be used exclusively during competitions. Carbon Air Feel+ Competition Fetlock boot has been developed to be used exclusively during competitions. The boot is adjustable and has been designed to boost the response of the horse performing the jump without compromising on comfort. The boot is designed to protect the joint while giving freedom of movement thanks to the Flex-Zone. The dimensions of the Velcro straps and their ergonomic shape have been developed to follow the limb structure offering a perfect position and optimal stability. Carbon fibre elements ensure maximum protection to the fetlock and the perforated neoprene and air intakes guarantee breathability.